China assure mobile phone companies using Google's Android operating system that they won't be hurt by a dispute over Web censorship, saying the technology will be allowed if it complies with regulations. Google Inc. postponed the launch of its own smart phone in China following its Jan. 12 announcement that it will no longer censor search results. Others also are developing Android-based phones and could be hurt if Beijing tries to penalize Google by barring its use. "As long as it fulfills Chinese laws and regulations and has good communication with telecom operators, I think its application should not have restrictions," said Zhu Hongren, a spokeman for the Ministry of Industry and Information Technology, at a regular news briefing when asked whether Beijing would permit use of Android. 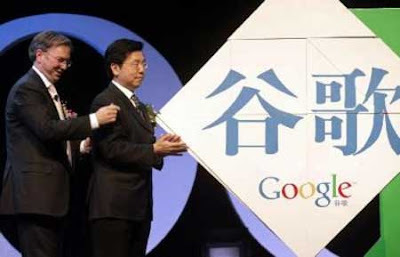 The comments reflect the conflicting pressures on the communist government, which insists on controlling information but needs foreign companies like Google to help achieve its goal of making China a technology leader. The operating system is one of a mobile phone's most basic elements and changing it after products already have been launched would be costly, said Ted Dean, managing director of BDA China Ltd., a Beijing research firm. "There's a pretty significant upfront investment in developing a phone on one operating system," Dean said. "So you don't want to change course on so basic a system as what operating system it works on."